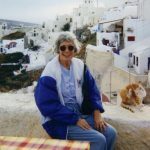 Today we have another great personal voyage report from Georgina Cruz, a freelance writer who has concluded 213 cruises to all seven continents including four World Cruises. Imagine the tremendous excitement one feels when boarding a ship for a seven-day cruise – then multiply many times over when you board for an extended voyage! Guests are welcomed aboard with special festivities, everyone is conscious of the epic nature of the itinerary that will visit not three or four, but scores of ports, and after a first day of gourmet feasts, festive entertainment and pampering care by a handpicked staff, guests know they have not just six more days, but weeks and weeks to enjoy! This spring my husband Humberto and I wanted to visit areas of the Mediterranean and Africa in depth as it is possible to do on an extended voyage, so we booked through Cruise Specialists a 54-day itinerary to those fabled regions of the world aboard Holland America. It was also designated as a Grand Voyage, with all the extra luxuries of those sailings including a hand-picked staff, pillow gifts and special entertainment. Through the entire voyage, the Prinsendam was a wonderful base from which to explore: an 850-passenger vessel personifying Old World elegance and charm, it was like a club: with everyone getting to know each other during our extended voyage. 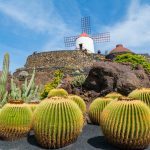 The Canary Islands that sit in the Atlantic off the northwest coast of Africa were among the top highlights of the voyage with stops at Lanzarote, Santa Cruz de la Palma and an overnight in Santa Cruz de Tenerife. 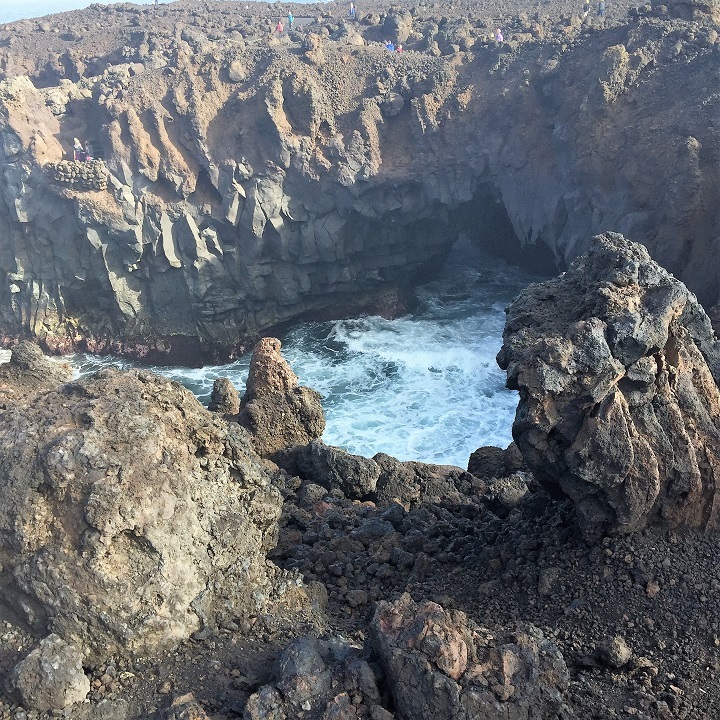 The Canaries are sometimes associated with the myths of the Lost Continent of Atlantis – the islands are, after all, in the Atlantic for which Atlantis presumably was named. 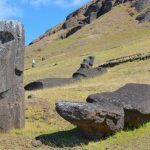 A theory holds that when Atlantis sank, its highest points remained as the Canaries we know today, and that their original inhabitants, the Guanches, were the descendants of the surviving Atlanteans. But Atlantis or not, the sapphire waters of the magnificent harbor in Santa Cruz, the capital of Tenerife on the island’s eastern tip, were like a siren call, welcoming us to a vibrant city filled with interesting architecture and excellent shopping – Spain’s famous El Corte Ingles department store has a branch here and the colorful Our Lady of Africa market beckons with exotic fruits and blossoms. 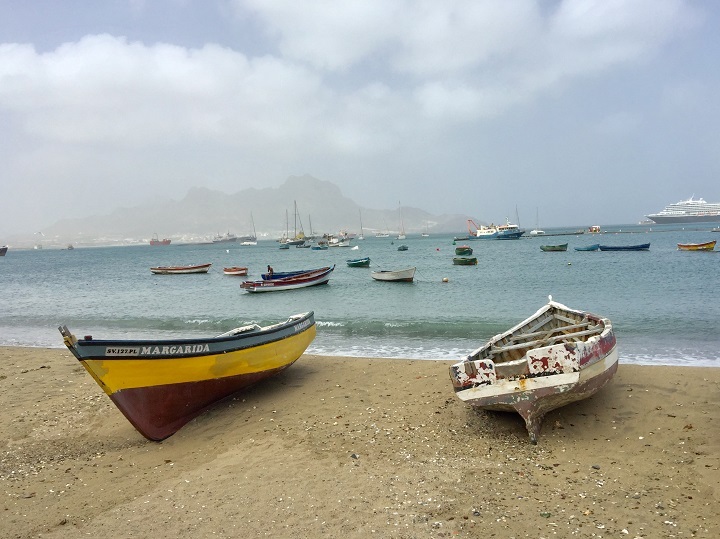 And the island also has many wonderful restaurants serving up the delightful cuisine of the Canaries which is Spanish, with African and Latin American influences. Tenerife was and is a popular stop for ships going to and from Europe to Africa, the Caribbean and Latin America, with Columbus himself stopping here for a few days in 1492. Our next stop was Tacoronte, the most important wine-growing area of the island. Here at the Bodega Alvaro we enjoyed a wine tasting – we learned that the first vines planted in the Canary Islands came from the Eastern Mediterranean, including the vines that produce the famous Malmsey wines immortalized in the works of Shakespeare. 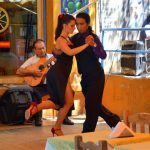 In Santa Cruz de La Palma, we walked on cobblestone streets to see lovely Spanish colonial houses with flower-draped balconies in the Avenida Marítima (Maritime Avenue) and took a guided tour to San Antonio Volcano National Park, where a trail reaches right to the edge of the volcano’s crater. It was Good Friday when we visited Santa Cruz de La Palma and we were able to take in one of the Holy Week Processions – with marching bands, floats and penitents. Very impressive! 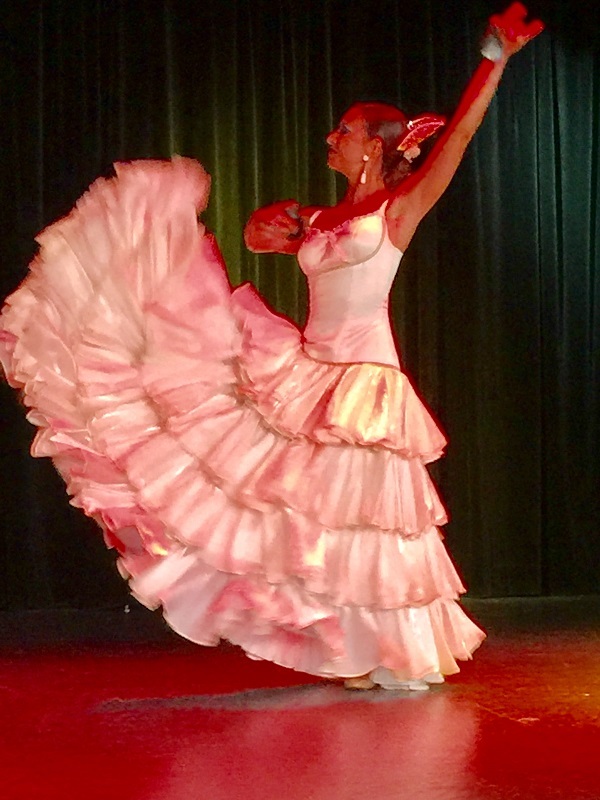 More local color was ours to enjoy during a special onboard performance by the flamenco group Fuego (Fire) and a wonderful Spanish Evening in the dining room – specially decorated and with Spanish specialties like “paella” (the world-famous rice and seafood dish). But though the Canary Islands were big highlights, there were many others – the voyage called on a whopping 28 ports including five overnights. 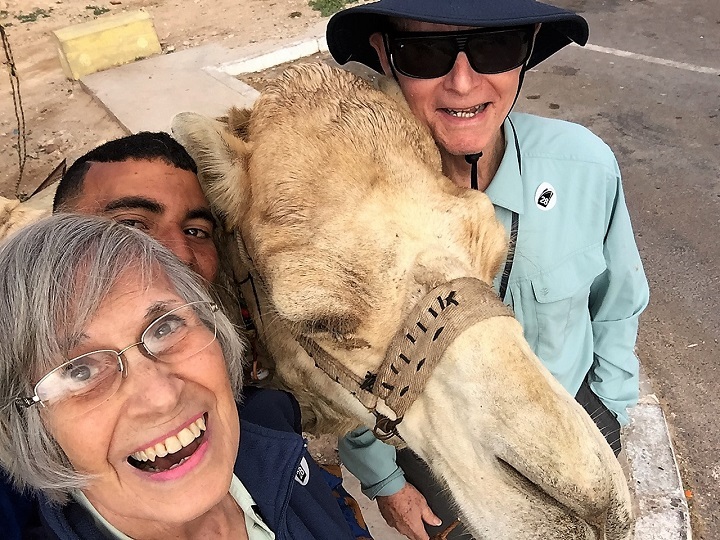 Meanwhile calls in Africa included Agadir, Morocco, for tours to the 16th century Oufella Fort and opportunities for a camel ride and to take the ultimate selfie: with a camel, which we took, of course. Dakar, Senegal, one of West Africa’s largest cities with a tour to Independence Square with colonial-style buildings, and the Presidential Palace, where the Spahi in their red and blue uniforms stand guard. Passing through the Pillars of Hercules, the Prinsendam ventured into the Mediterranean, the centerpiece of the voyage. The name, Pillars of Hercules, was given in antiquity to the two promontories flanking the Strait of Gibraltar: the Rock of Gibraltar in Europe and Mount Acho in Ceuta in Africa that, according to legend, were parted by the strong arms of Hercules. 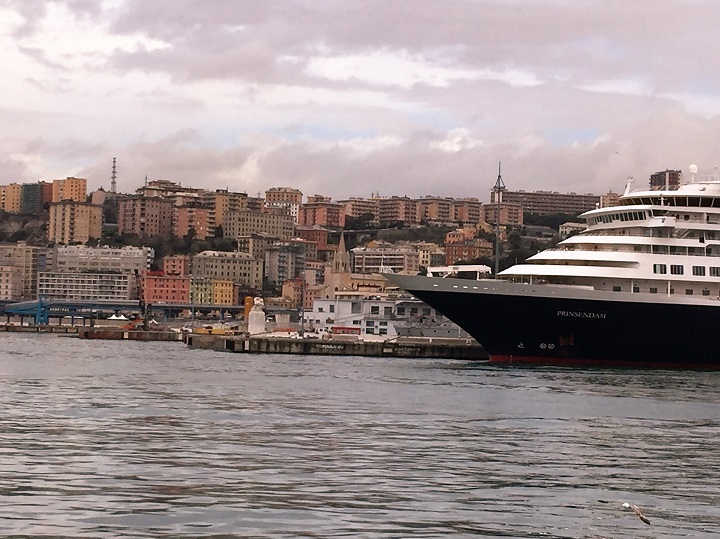 Highlights in the Med included several Italian ports that charmingly occupied our attention beginning with Genoa, a vibrant maritime city with a harbor front newly renovated by noted architect and native son Renzo Piano of the George Pompidou Center in Paris fame. 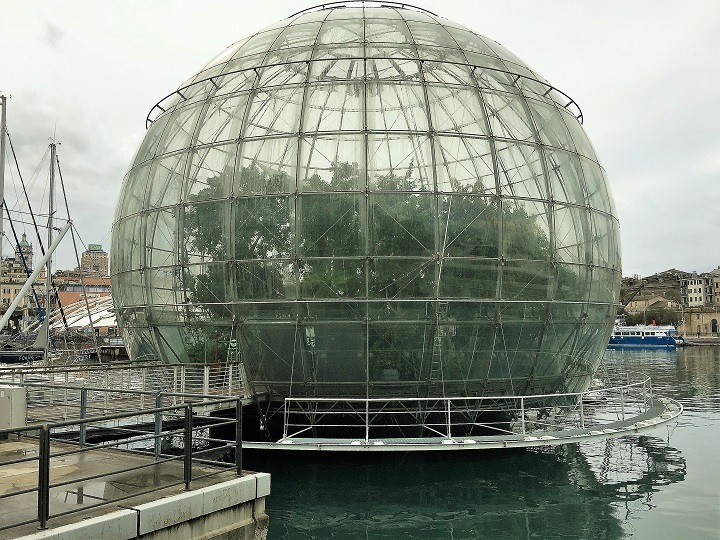 The harbor front is now a modern center filled with shops and cafes as well as such points of interest as the Genoa Aquarium and the Biosphere, a glass dome of more than 65 feet in diameter filled with plants, trees, birds and other animals. Other Genoa attractions include the 16th century Palazzo Ducale, once the home of the ruling Doges; the Christopher Columbus House, where the explorer spent his childhood, and the baroque Gesu Church, a Jesuit Church that boasts two paintings by Peter Paul Rubens. A call in Sorrento provided opportunities for excursions to the lovely isle of Capri and the breathtaking Amalfi Drive, which we never fail to take to be delighted by its emerald waters and the picture-postcard-perfect towns of Positano and Amalfi, where we picked up a bottle of the local lemon-flavored liqueur, limoncello. A local folkloric group, Sorrento Folk, came onboard to entertain us with lively tarantellas. Stops in Naples, for excursions to Pompeii, and, of course, great pizza and pastries; and Cagliari, Sardinia, offered a chance to explore this less-often-visited island with its five-mile Poetto Beach and its old section, Castello, with its medieval walls and 13th century towers. 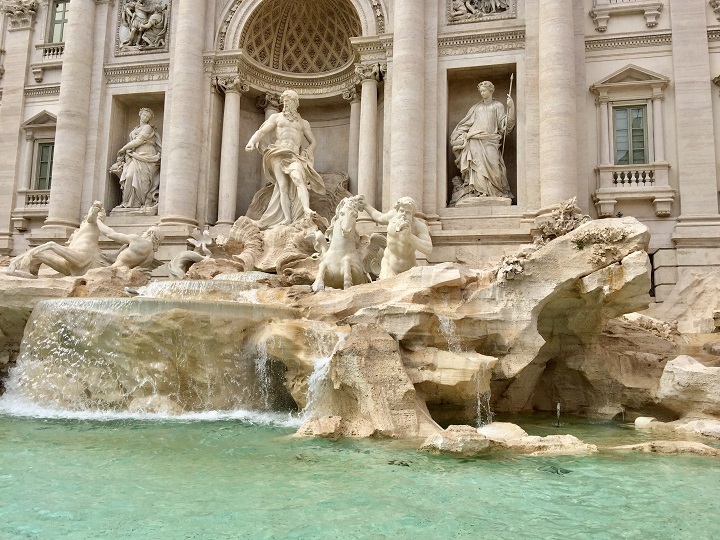 No matter how many times we go to Rome, we always head to the Trevi Fountain to throw in a coin that according to the classic movie, Three Coins In The Fountain, ensures our return. The tour included a typical Italian lunch with pasta and a sinful pastry for dessert. Delicious! But we were not done yet. Barcelona where the La Rambla pedestrian street, very lively with living statues, and Antoni Gaudi masterpieces like his emblematic modernism Sagrada Familia Basilica awaited. Malaga with its noted Picasso Museum, devoted to the arguably most influential artist of the 20th century in the city where he was born. Cadiz with its impressive golden-domed Cathedral, sightseeing routes and cultural highlights marked on the city’s pavements like Boston’s Freedom Trail. Valencia with its Old Town with its Cathedral, Basilica of the Virgin, Central Market and Silk Exchange, as well as the futuristic architecture of Santiago Calatrava in the cultural venues of the City of Arts & Sciences, not to mention the delicious paella valenciana, the city’s wonderful rice dishes that are world-famous. All too soon, we had begun the crossing back to Fort Lauderdale with calls in the pretty Azores and a stop in Hamilton, Bermuda with its multiple attractions including picturesque architecture in soft pastels and the pink sands of Horseshoe Bay Beach. It had been an amazing experience and we cannot wait until our next extended voyage on some beautiful ship – we have, in fact, already booked the 2019 Grand World Voyage of Holland America’s Amsterdam through Cruise Specialists.